What a life changing journey these past several years (decade+) have been! Wow! I can’t believe it has been that long. In March 2003, my world was shaken by the sudden death of my dear mom. She was a nurturing and generous person, someone who always put others first. Unfortunately, she was diagnosed with diabetes in her thirties and she became insulin dependent. As time went on she also developed other related conditions. At the age of just 56 she suffered a massive heart attack and left our world far too soon. Living through this has been heartbreaking. After taking time to grieve and deal with this loss, I realized that I had to re-evaluate my own life, including my food choices, level of physical activity and my personal goals. These were all areas that I thought I was in control of, but in reality I was overweight and sedentary. I learned from my mom’s death that I had to turn my life around and take the reigns of my own fate. When I was finally able to gain my ground, I was infused with strength I didn’t even know I had! Sure, there were ups and downs, but I found the motivation to get back on track. Not a day goes by that I don’t think of my wonderful mom. I thank her for giving me the willpower, determination and the focus to embark on a new lifestyle. By drastically changing my eating habits, exercise regime, sleep patterns and overall outlook on life (in various stages), I have witnessed astonishing results. Not just in the way I look, but more importantly in my performance, mood and function. I am seventy(ish) pounds lighter, a heck of a lot happier and much, much stronger! I wake up every morning with a channeled energy. I feel that I have a heightened sense of purpose and passion for what I believe in. I am thriving. In February 2009, I reconnected with a close friend, Tyler Touchette of Caveman Strong. As my road towards greater health continued, the timing couldn’t have been more perfect. Tyler has been, and still is a major player, as well as countless others in bringing me to where I presently am. During our conversation at that time, he told me all about the Paleo lifestyle and the strength and conditioning program he was involved with. Without hesitation, I (we) decided to join the CrossFit Toronto gym. It has now been over 5 years since my husband and I experienced those “deer caught in headlights” days in the boot camp. Every day I become more and more in love with this way of life. My passion for cooking and eating “real food” has grown remarkably. I never realized that making a few changes could make such a huge difference. This journey is far from over, and perhaps only just beginning. I hope to continue to thrive, and in the meantime share some delicious recipes and tips along the way. Life is precious, live it! When I finished my degree at university, I moved to Toronto to start teachers college. Shortly after doing so, I met Dustin (my now husband), and we moved in together. About a year later, in March of 2003, I lost my mom to a massive heart attack. This is what I call the catalyst. This was the incentive; this was the spur that I needed to start making change. However, I had to experience a dark place before this was possible. It was a bit of a roller coaster before coming to terms with everything and realizing that major adjustments were needed. After my mom’s passing, my anxiety worsened, and I started to experience full-blown panic attacks. During this time, I also injured my neck really badly and had difficulty with much exercise of any kind. Dizzy, puffy (as I call it looking back in photos), depressed and down-and-out, I went to the doctor. Guess what? He quickly prescribed medication to “help” with the anxiety, but things actually got worse for me. The side effects weren’t worth it, so I weaned myself off. Another plan was needed. In 2005, Dustin proposed to me. We started preparation for our wedding, which was scheduled for the summer of 2007. The celebration of this happy time was just what I needed to get out of this black hole. I began the Weight Watchers program. With that, I experienced much success with losing weight, but I also gained the attribute of becoming overly concerned with the scale. I was constantly counting, weighing and calculating. During this time, I thought I was eating real food, but was I really? it declared it was. 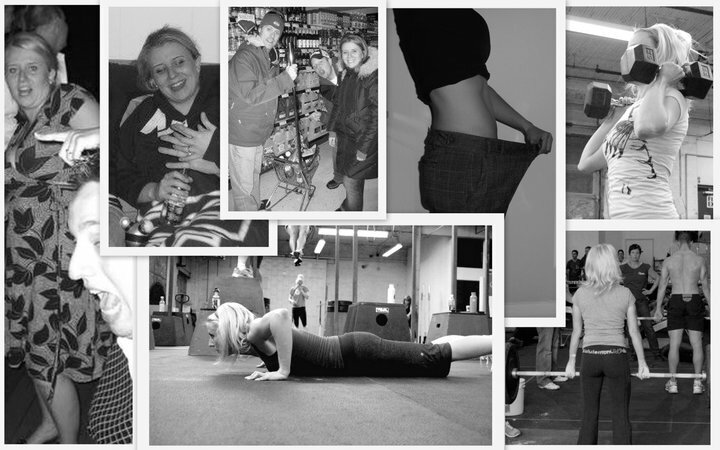 From a physical standpoint, I had lost weight, but I still wasn’t healthy. My digestive issues were at an all-time high. I was definitely wearing the rose-colored glasses, and I was completely mesmerized by what others were telling me healthy was supposed to be. I was under their spell and believed all the hype and hoopla. This up and down diet wasn’t sustainable for me. It truly wasn’t a lifestyle; it was a numbers game of empty calories in and calories out that I no longer wanted to be a part of. I didn’t know what to do. I think many of you can probably relate, as this is where most people find themselves stuck. (Even though you might not realize it at the time). The years following 2009, until the present, is when the true magic happened. Upon meeting up with Tyler Touchette, going to several nutrition workshops led by Robb Wolf and Mathieu Lalonde, attending numerous Ancestral Health Symposiums, it started to become clear to me. The waters became less cloudy. The haze was lifting and I was learning what I needed to do to actually become healthy. In its simplest form, I needed to eat what I now call ‘really real food’. and legumes and replaced them with really real whole foods. I ditched the restrictive counting mentality and started to concentrate more on nourishing my body with healthful foods. I began a reciprocal relationship with food where I started to pay attention to where it came from and what it actually was. In return it started to show me some love back. When I did so, it was life changing. Literally, I call it miraculous—digestive issues: adios; skin: much clearer; hair: shinier; anxiety: no longer; panic attacks: bye-bye; inflammation: farewell; mood swings: cheerio; sleep: like a baby; energy: hello there! I was out from hiding underneath that umbrella of what and how I thought I was supposed to feel. I was actually feeling like everyone deserves to feel—how we are meant to feel both physically and, more importantly, mentally. Here’s to a healthier and fitter you. Welcome to my blog… Have a blast reading my tidbits on health, fitness and how to thrive when eating nutrient-dense foods, while making some of my delicious recipes. Enjoy!!! This is amazing! I have learned some helpful information. Your accomplishment are to be applauded and I am one person in your life who is clapping the loudest! I look forward to visiting this site with great anticipation. Perhaps one day you could be my food and fitness coach. Hi Cindy. I enjoyed reading your blog and especially love reading people’s success stories. I wish you well in your blogging and look forward to reading it daily. three cheers to a great role model and inspiration….YOU! I am extremely happy, fortunate and blessed to have crossed paths with you and ‘the duster’ and hope to grow older, wiser, stronger and fitter with you both!!! What a great site Cindy!! I look forward to making some of your recipes. You really have inspired me. First by suggesting books by Michael Pollan and now this. Chad and I will be following your blog for sure! Such an interesting story! It is great you have such a sense of purpose and passion in your life! 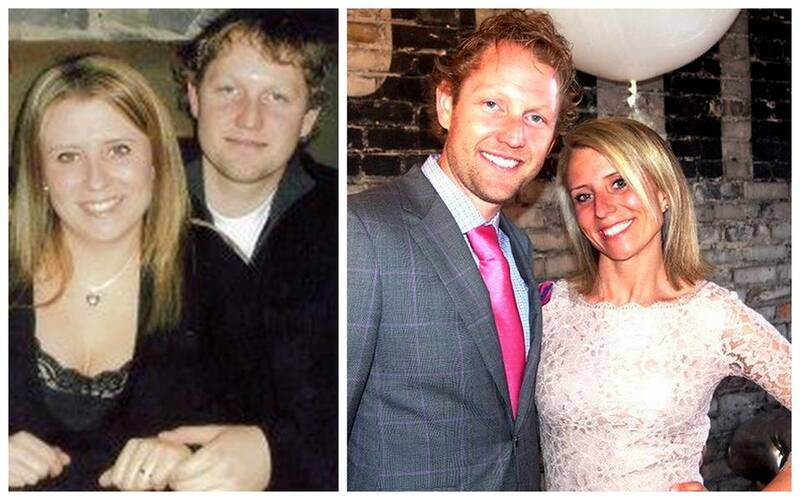 wow…what a transformation…you should be very proud of yourself! It’s amazing to me what unexpected changes in our life can lead too…as you know my life too has been a journey these last few years, allowing me to find strength I didn’t know I had, exploring new interests and discovering what I really value! Thank you for sharing your story too…I think it will inspire many! Congrats to you, life changes are no easy feat! What a pleasure to know you (and Dusty too! )…keep in touch! Hey Cindy, cool blog! I definitely respect this lifestyle and have a similar passion for eating and cooking “real” food. I’m hooked on Jamie Oliver. Have you checked out his Food Revolution program? I LOVE your blog! I’m a Paleo Registered Dietitian – check out my blog if you get a chance!! All of your comments mean so much to me! Thank you, thank you, thank you!!! You are all so kind and generous in your words. MA…your words are so kind…thank you so much! I love to share my experience with anyone who is willing to listen 😉 Hope you are doing well! I totally can relate to you Cindy! My Mom was my best friend and the best Grandma in the world! She had many health problems, including Chron’s disease, osteoporosis, and many more. She had a major heart attack at the age of 57 and my world has not been the same since! It’s horrible to lose your Mom, no matter what age you are! I don’t want my children to have to go through life without their Mom. I have been doing paleo for about a month now and am trying to convert my family as well. I don’t want to be plagued with health problems! I want to live a happy and healthy life and I truely believe this is the way to do it! I began the paleo lifestyle 8 days ago, and have already lost 11 lbs. I look forward to following your site and will definitely check out the books you’ve listed here. I am a sponge with it right now and can’t get enough, there are so many great sites for information. I wish this was more readily available 10 or 20 years ago, i’m, 42 now and was diagnosed 3.5 years ago with Type 2, and have struggled with it. I am a big man, (shrinking though 🙂 ) and have been all my life. I started at 312 lbs this time around and as I said have lost 11 so far, but have struggled with weight my entire life. Since going paleo, my fasting sugars have come down 50 points in just over a week, and I even hit some normal ranges under 120 at certain points during the day…I know this works and I am truly motivated now to keep this up for the rest of my life…I’ve eaten more veggies & fruit in the past 8 days than i’ve eaten ever!! I’m going to experiment with some of your recipes, and looking forward to following your site. We see each other every day, and every day I am amazed by how inspirational you are. I want to be like you when I grow up!!!! Thanks for inspiring me to be a “fitter and healthier me”. Your blog looks great the recipes look yummy. I’ve told all my friends about your blog and they love it. Awwww…geez thanks! Fully blushing…you are so sweet! Thanks for passing my blog along. What are we going to do after next year??? ahhhhhhh lol! 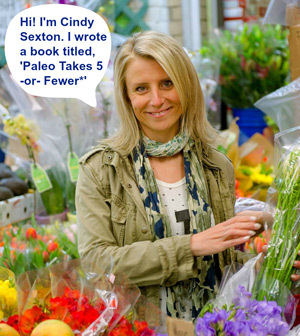 Hi Cindy, I’m a 35 year old single woman who’s just gone Paleo. I live in downtown Toronto and I’m looking for other Paleos to connect with, who can tell me where to get the best prices on grass fed meat, etc. Also for support – maybe even have a meal together. Do you know of any groups around? If you’d like to connect, please let me know how. Thanks and great website! Hi Shannon! Sorry about your loss. THANKS so much…I am glad you like my blog! I enjoy sharing and blabbing away on here. I have cut out any long metcon style workouts (crossfit-esque) and have turned my focus to getting stronger through mainly weightlifting now! Let me know if you have any other questions!! 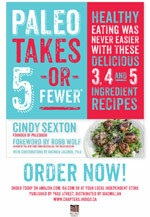 Cindy – I’m sending out advance copies of Sarah Fragoso’s new book, Paleo Pals, and would like to send you one. Please send me an email so I can get one out to you. Hi Kelly! That is fantastic – THANK YOU!! I am sending you a PM now! THANKS! I really appreciate your comment!! I came across your website/blog while doing a search for related blogs. I am a Chiropractor and Clinical nutritionist in NYC. I have a forthcoming book, “Quantum Paleo”, due out in hardcover,paperback,Kindle and Nook in May of 2012. Here is a video I just completed this week that you may be interested in seeing titled. Let me know what you think and if you would like to connect in some way. The video is free to post and use. I only ask that you put my byline on it, so I get a reference. hi there! i will def check it out. thanks for letting me know about this resource. feel free to contact me at paleodish@gmail.com and we can chat further! congrats on the book!!! I’m loving the recipes on here. Such a broad range of options. Paleo has changed my life – no more heartburn, no IBS, LOWER cholesterol and blood pressure. I’m glad I have this website to help me stay creative on this food journey! I added your blog to the ‘Paleo Canada’ page – http://primalcut.wordpress.com/2012/04/08/paleo-canada/ – I’m trying to start a list of links specific to Canadian Paleo/Primal blogs. Take a look and let me know what you think? Great – thanks so much! I will check it out! You’re inspiring. I’m constantly struggling to stay on track with my eating so I’m always looking for new paleo blogs with recipes…And you’re local. hi jacklyn – thanks so much for the kind words! let me know if you have any questions. I just stumbled on your blog. I’ve been paleo for a few months now (switched from 5 years of Pescetarianism after reading Gary Taubes and then reading some paleo books and blogs.) I also live in Toronto (near Fiesta Farms) and am trying to compile a list of Toronto stores/butchers and Paleo friendly brands – best place to buy free run omega 3 eggs, where to buy macadamia nut oil, etc. Any interest in posting a resource like this on your site that we can contribute to? I’d be interested in seeing where else you shop (have you tried Vince Gasparro’s Meat Market at Bloor/Roxton? Great Mennonite chicken and sometimes grass fed beef. They tell me all their meat is antibiotic and hormone free). Also, where we Canadians can easily acquire some of the items only in the US (a girlfriend is bringing me some Kerrygold butter later this summer as it’s not allowed to be sold here, their cheese is sold here though). 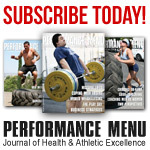 Do you know of any other Toronto-based paleo websites or blogs? for grass-fed beef and raw dairy, your best bet is to get it from a cow-share. they make deliveries to the city every week to different locations. I’ll usually get milk weekly and buy bulk beef and freeze it. let me know if you want a supplier to contact. 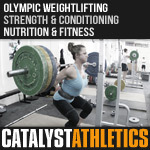 Just found your blog randomly since I was looking for a Crossfit Gym in Toronto to try. I’m Phalakone, a new Paleo adept starting a new blog, and I just wanted to introduce myself and thank you for the recipes you made on your blog. I might see you in the gym or online. Hey just stumbled upon this page. Although the post was a while ago. If you’re looking for grass-fed beef or raw dairy, i have a farm who delivers downtown. Email me if you’re interested! I simply want to say I’m very new to blogging and seriously liked your web-site. Probably I’m planning to bookmark your website . You amazingly have exceptional articles. Cheers for sharing your website. THANKS SO MUCH TINA ~ I really appreciate your kind words. Thank you for reading my blog!!! Hi Cindy, My husband and I started the Paleo diet almost 2 weeks ago. I had been following the Curves diet for months with very little results (3 lbs in 2 months) After the 12 days on Paleo I have lost 13 lbs. I love your site, lots of info to go over and support. I am also starting Crossfit in May, my husband has been doing it since August, with wonderful results. I can’t wait. A year ago today I had a skiing accident that left me with a broken left leg and a level 2/3 MCL tear on the right. I am no stronger through yoga and Curves, and ready to move on to Crossfit. It will be scarey, as I am a “plus” size girl…but your storey has motivated me. Thanks! I found out about your site through your sister. That’s awesome! Good for you – minus the accident part. I am so warmed to hear that my story was inspirational to you! Let me know if you have any further questions. Good luck on your journey!!! I wanted to share with you my delicious paleo and gluten free creation, Nomz! Nomz Energy Bites are yummy, gluten free and paleo. No refined sugar, no peanuts, no dairy, no eggs, no additives and no trans fats! Our Energy Bites are available in three flavours: Pecan, Coconut, and Pistachio. We currently have a Kickstarter campaign running in order to raise funds to allow us to rent our own facility for production and buy equipment to help us with the manual labour. We hope to expand Nomz into more cities in Canada and around the world, creating healthier communities! I would love to hear what you think! And if you like us, please back us and share us, and help us spread our delicious paleo snack around the world! We are a new start-up that makes all-natural Paleo Compliant condiments. I have found your blog recently and I am just wondering if you are interested in writing a product review and share with your followers. If you are interested, Please let me know and we can mail samples to you! It’s actually a cool and helpful piece of information. I am happy that you shared this helpful info with us.